Your sewer line is the main drain pipe leading from your house to the street. A clog in this line can cause raw sewage to back up into the drains in your home. This is smelly, toxic, and can be expensive to repair. If you are experiencing a backup due to a clogged sewer line at your home, it is important to stop using any water as it could accumulate in the basement. If you notice signs that your main drain may be clogged, schedule a sewer line camera inspection. This is the best way to pinpoint the problem in your pipes. What Causes a Sewer Line Clog? If you need your sewer line repaired or replaced, A.B. May has a dedicated team ready to serve you. 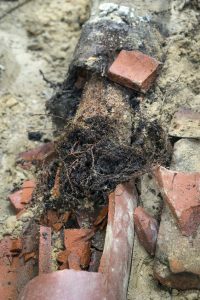 Many clogged sewer lines, especially in older homes, are a result of tree roots. Tree roots can penetrate the sewer lines and clog over time. 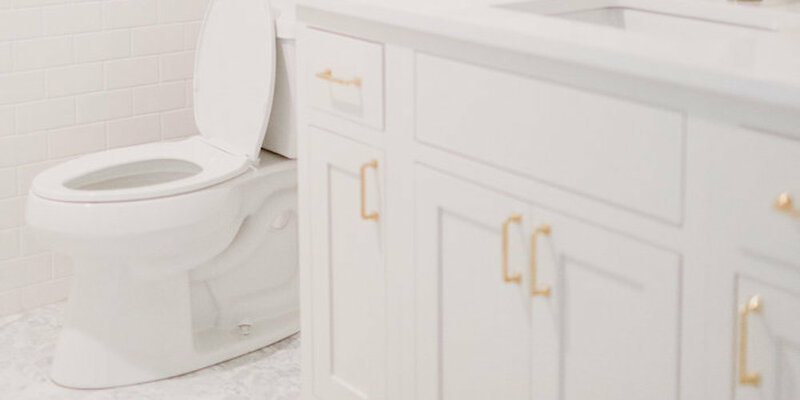 The clogs in newer homes are usually caused by feminine hygiene products, paper towels, and certain brands of thicker toilet paper. Our expert technicians use the appropriate blades to break up the roots and unclog the drain. If you have a bigger problem, we work with you to identify and take care of the issue. If your home is older, your sewer backup could be caused by cracked, broken or collapsed sewer lines. Many older homes have cast iron pipes that can break down over time. It can be easy to put things in your drains that they aren’t designed to handle. Garbage disposals are not made to handle large quantities or hard food items like onion or potato skins. Cooking fat hardens once it goes down the drain, coating your pipes and eventually blocking them. Also, place items like napkins, facial tissue, diaper wipes, or feminine products in a trash can instead of down the toilet. Over time, they can form stubborn clogs in the sewer line and big problems.